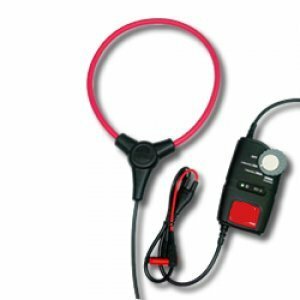 Plug into multimeters, oscilloscopes, or power analyzers to measure AC current, up to 3000 A ac. This is also ideal for commercial or residential users who have standard clamp meters, but need to reach hard-to-clamp-on places, or occasionally measure AC current higher than 400 or 600 A. This simply eases your work.